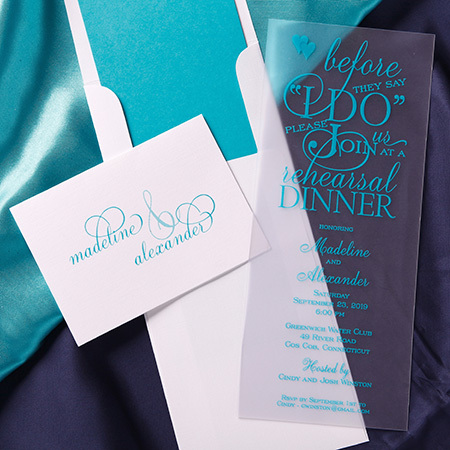 REHEARSAL DINNER INVITATION - Frosted �ice� with an artistic layout and combination of typestyles. Envelope lining, matching ink color and stylish informal completes the presentation. �Ice� is available in 12 colors.